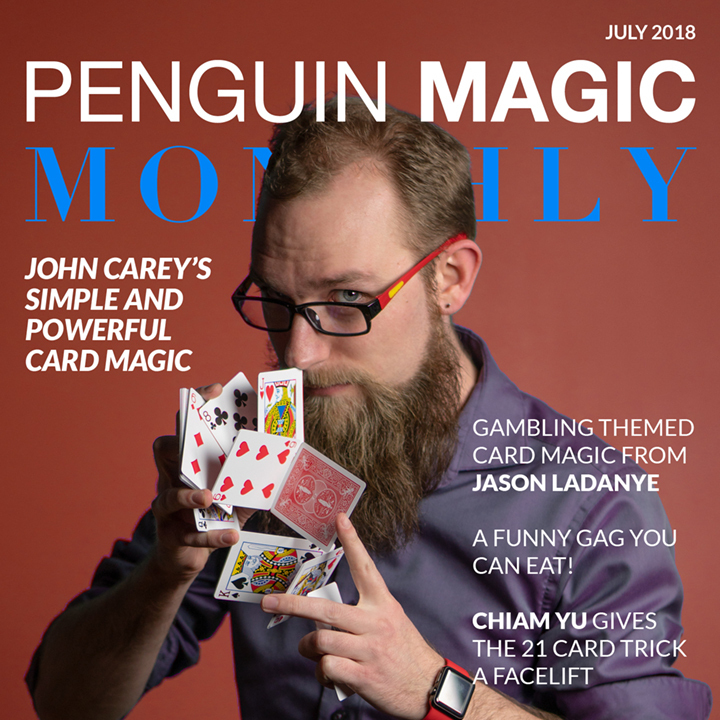 Today, when you order "Penguin Magic Monthly: July 2018", you'll instantly be emailed a Penguin Magic gift certificate. You can spend it on anything you like at Penguin, just like cash. Just complete your order as normal, and within seconds you'll get an email with your gift certificate. I don't understand again well the english, But I keep preciously when the moment will be come on. This is by far the best Close up pad for the money! Super thick and will not move on any surface! I love this pad! This small tome is done up very nicely, but it just isn't for me--far too much card and silly stuff. Card guys seem to believe that no other magic exists beyond cards, or that nothing else is worthy of their time. I believe that if you purport to practice "magic", then you owe it to your audiences to demonstrate magic with many various props (they expect you to), and not bore them to tears with a hundred renditions of "I'll find your card"--a hundred different ways. 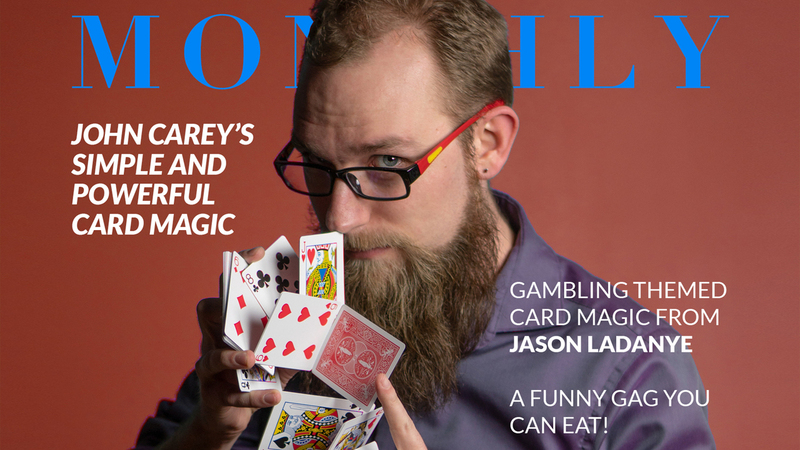 I mean, nearly EVERYONE knows a "card trick" or two, so how does that separate you from the rabble? In order to amaze laymen, you must be proficient with many things. They won't call you a magic man if they can do what you do! Everybody knows that card tricks are just that--TRICKS! They can do them, so they aren't amazed if you do them too. At best, I doubt they'd consider you a magician, without claiming the same for themselves. I understand that nobody believes in magic anyway, but it is our unique job to blur the boundaries considerably, and make them question their disbelief! Otherwise, what's the point? 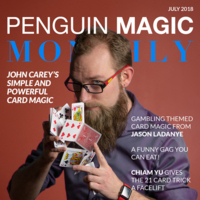 Today, it would appear that magic has been diluted to the extent that nothing beyond card tricks and mentalism qualifies as "magic" to most magicians. Just check out the "Best Sellers" at Penguin and tally up the cards/card tricks and mentalism, and then see whats left. I rest my case. . .